It's Trump 或者 Be 鲨鱼 Chow. 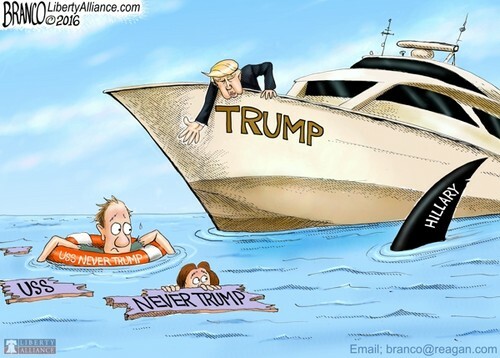 Donald Trump is not the best captain, no. But the alternative is being eaten 由 Sharklary Clinton.. Wallpaper and background images in the U.S. Republican Party club tagged: photo donald trump hillary clinton never trump never hillary 2016 presidential election republican trump hillary.